We are committed to making your smile healthy and beautiful. We believe in whole body health so our dental office is mercury and fluoride free! Each patient in our practice is given personal attention to his/her dental needs. So whether you need a filling, braces, implants or dentures, Dr. Mashoof and our staff are equipped and ready to assist you. 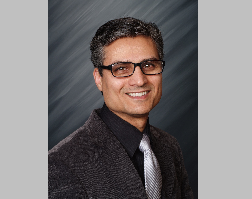 Dr. Mashoof graduated from the University of Pittsburg School of Dentistry in 1999. He received his Prosthodontic Specialty Degree in 2002. He is a Board Certified Biological Dentist, and has been voted America's Top Dentist. He has been trained in General and Cosmetic Dentistry, Prosthodontics, Orthodontics, and Implants. He is a fellow and diplomat of the International Congress of Oral Implantologists, a member of the International Academy of Biological Dentistry and Medicine, and a member of the International Academy of Oral Medicine and Toxicology.